In this article, we’re looking at two vacuums: the Shark Navigator Lift-Away Professional NV356E, and the SharkNinja Shark Rotator Professional Lift-Away. Now, these are both great vacuums. 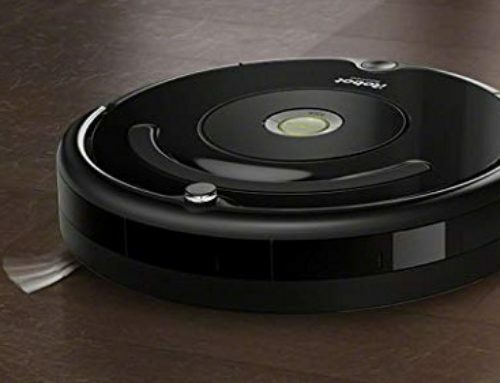 Both of them have a lot of really amazing features that they offer, and as vacuums go, they are definitely some of the best that you can find on the market. So, What Kind Of Vacuums Are These? Both of these vacuums are what’s known as “lift-away vacuums.” They look just like upright vacuums. And for the most part, they act like them, too. They both stand up nice and tall, and the design is pretty much identical. But, you’ll notice that, in comparison to other upright vacuums, these ones are a lot smaller and they weigh a lot less. The biggest difference is what gives these vacuums the name “lift-away”. When you press a button, you can detach the canister that is in the middle of the vacuum. Now, this canister essentially serves as the dirt cup. You can then hold the canister up and use it to clean spaces that you would otherwise have difficulty reaching. Due to this feature, you can consider a lift-away vacuum as a kind of two-in-one vacuum. Giving you a main upright vacuum, and a handheld vacuum, all in the same package. Right away, you’ll notice just how compact the Shark Navigator vacuum is. It weighs just under 14 pounds, and you can easily move it around and hold it up without straining your hands or shoulders. You’ll also notice the dust cup. Now, the dust cup isn’t particularly spacious when it comes to what, exactly, it can hold, but this isn’t a huge flaw, either. Using the dust cup, you can hold up to 2.2 quarts of dirt, dust, and debris. 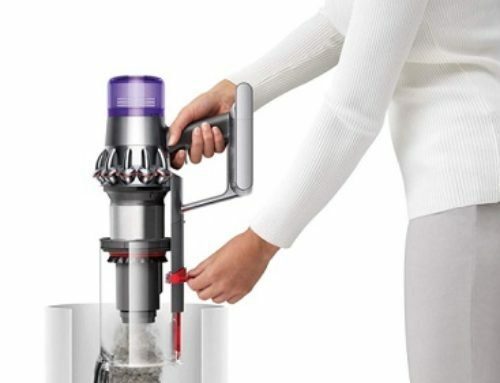 Since this is a lift-away vacuum, you can remove the main canister, which is also the dust cup, and because of how light weight it is, it’s very easy to do so. When vacuuming, you’ll be using the main brushroll. This is a light and relatively soft brushroll that is designed to work on hard surfaces, as well as some carpeted surfaces. It may not be as thorough or effective as other brush rolls that are thicker or a bit denser with the material, but it works very well for basic cleaning. During the vacuuming process, everything goes through a HEPA filter. This HEPA filter is paired with Anti-Allergen Complete Seal technology, that ensures nothing gets out. Then, the HEPA filter works to ensure that the smallest of particles – such as fine dust, and other germs – are successfully filtered and enclosed. Immediately, you’ll notice that the SharkNinja Rotator Professional Lift-Away NV501PR weighs 15,5 pounds. Just a little bit more than the Shark Navigator Lift-Away Professional NV356E. Part of this weight comes from the dust cup, which is an XL dust cup, allowing you to vacuum more, and not have to empty the dust cup as frequently. Once again, you have a nice detachable canister that enables you to more effectively clean different parts of your home, that the main unit can’t actually reach. There is also the inclusion of a Premium Pet Power Brush which is great for cleaning up things like hair and fur, as well as dander. Not just pet hair and debris. In terms of what this vacuum can clean, it has been shown to work very well on both hard surfaces – such as hardwood flooring – as well as carpeting and softer surfaces. Now, in the case of carpeting, though, it doesn’t work quite as well for really thick carpets. During the vacuuming process, just like the Shark Navigator Lift-Away Professional NV356E, everything goes through an Anti-Allergen Complete Seal – for ensuring that what was vacuumed stays in the vacuum – and a HEPA filter that isolates the smallest, yet most persistent, of particles. One of the most notable features, however, has nothing to do with any of those things. You see, this vacuum has been designed to be a lot more versatile than other lift-away vacuums. 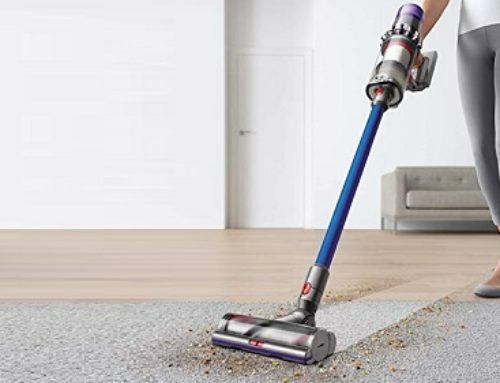 While using the vacuum, you can swivel it and move it around with a lot more ease, allowing you to reach underneath furniture and around corners. At the end of the day, the Shark Navigator Lift-Away Professional NV356E is a great vacuum. If you want to do basic vacuuming, and don’t really care about a lot of the extra features, then it’s a great choice. If you want something a bit more versatile, then the Shark Rotator Professional Lift-Away NV501PR is an ideal choice.